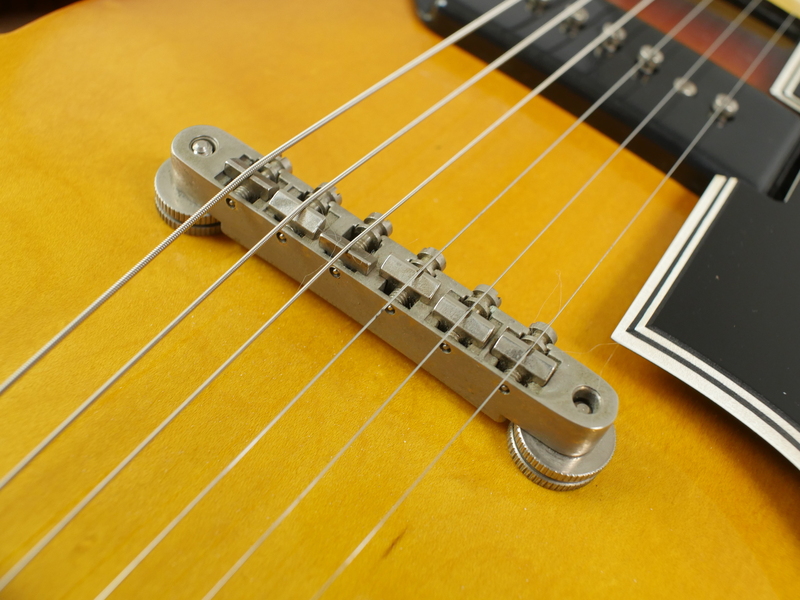 We love superlatives at ATB guitars but sometimes we find guitars that so perfectly encapsulate the statements. 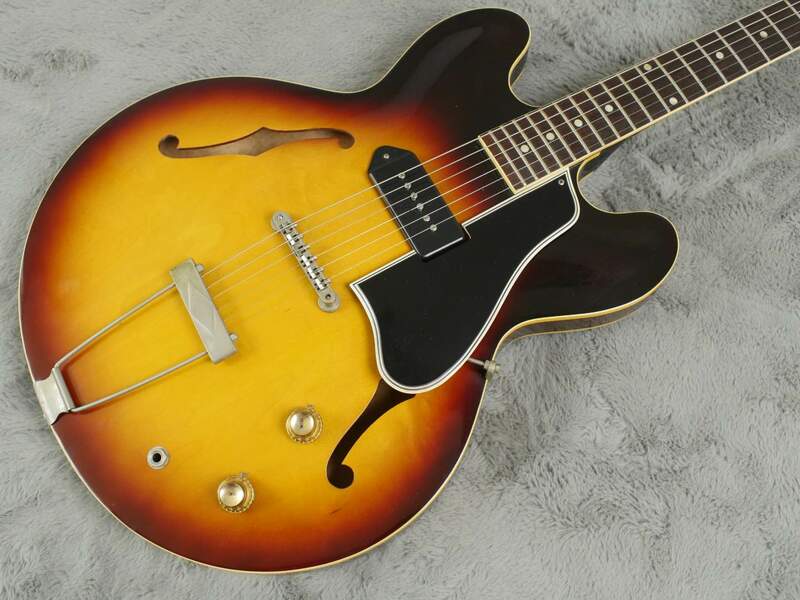 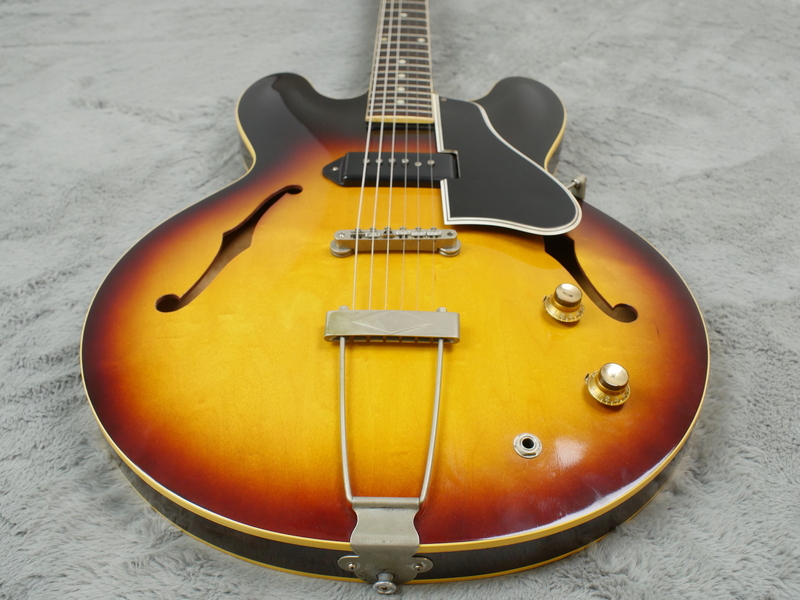 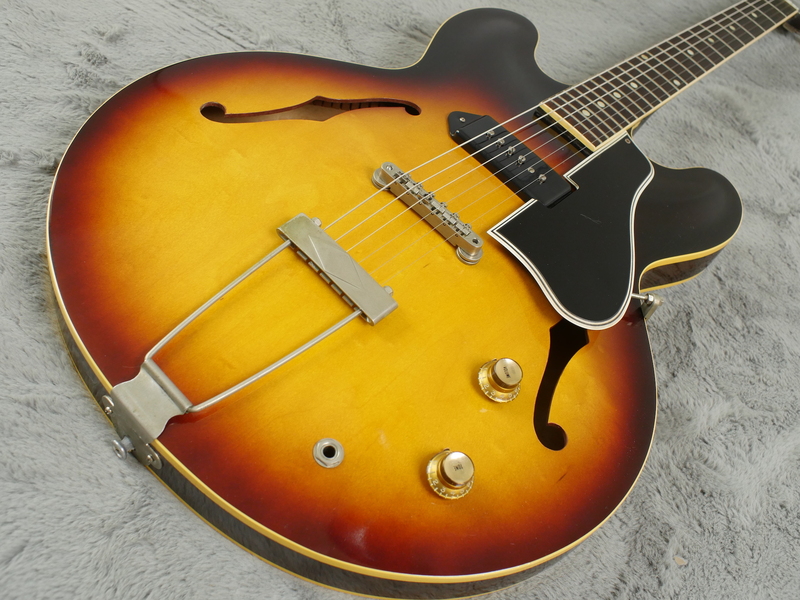 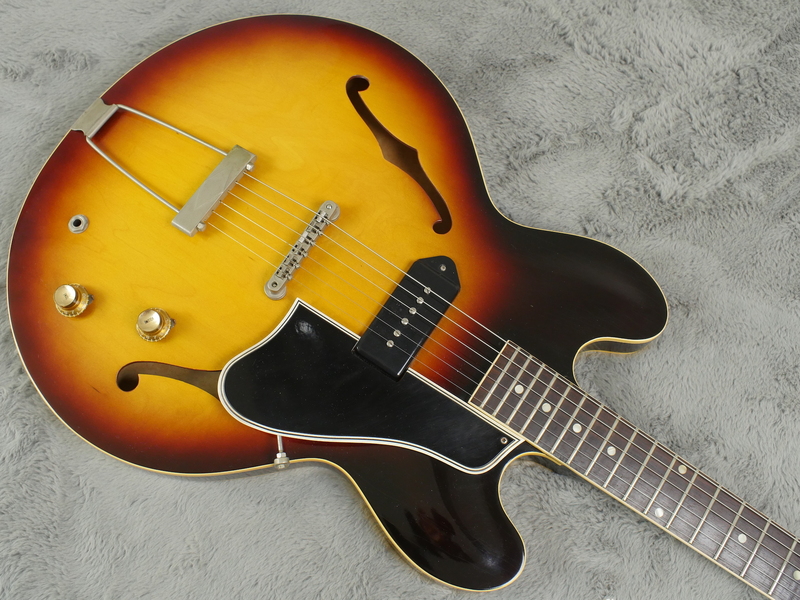 This 1961 Gibson ES-330 T is one of those. 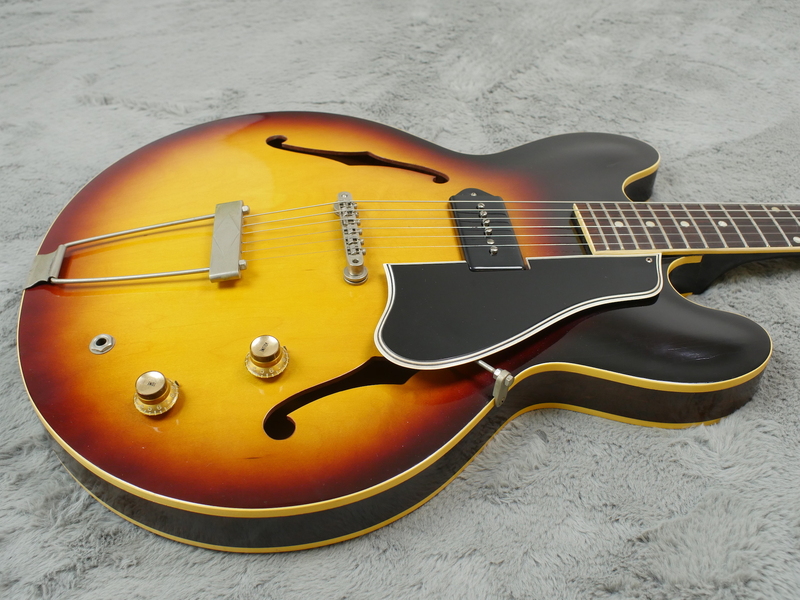 Now maybe this guitar isn’t entirely to everyone’s taste, the more familiar twin pickup model is much more popular as you’d imagine, but this particular example just looks so good you can’t help but take a second look. 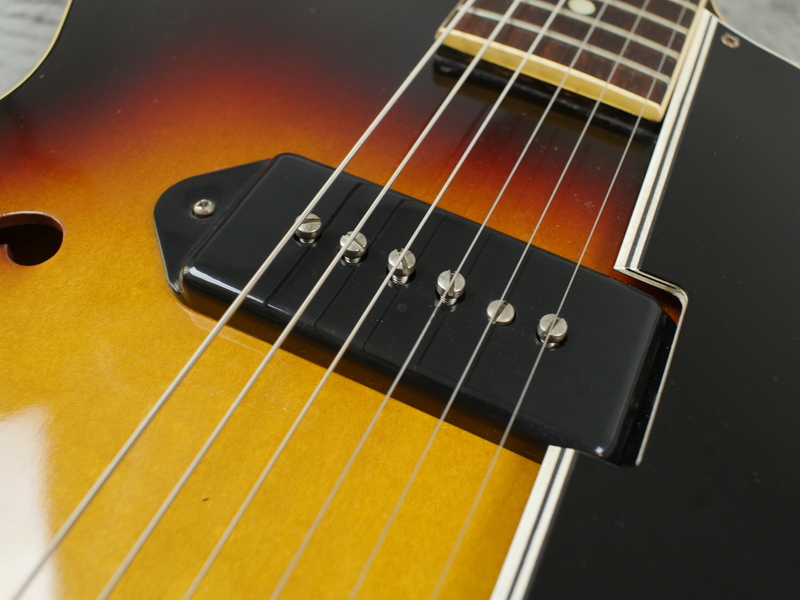 The body, apart from a little dink on the back, is entirely free of any wear with the three tone sunburst still vibrant. 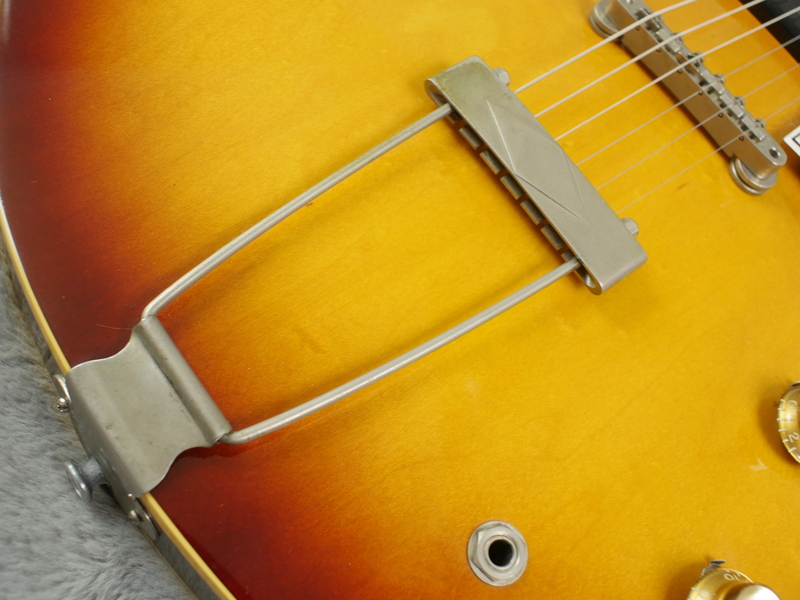 There is a little tarnishing to the nickel hardware and the plastics are in fantastic shape. 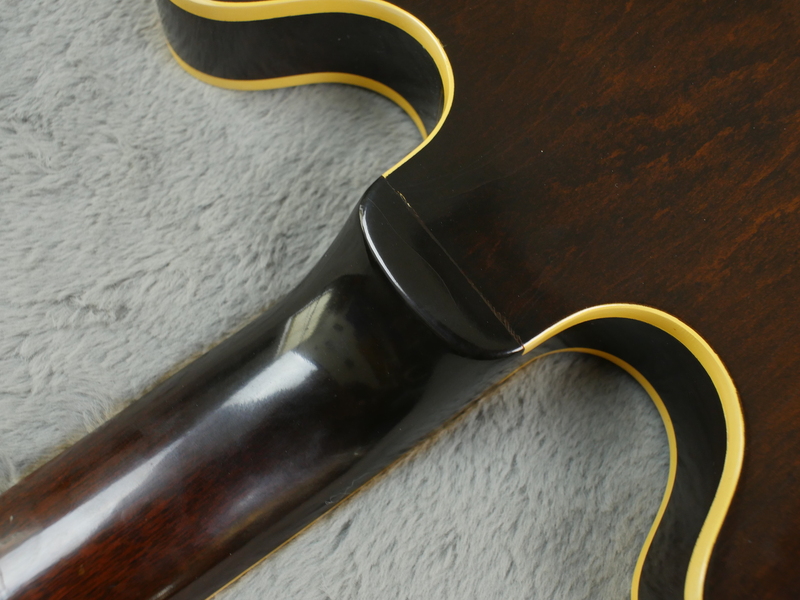 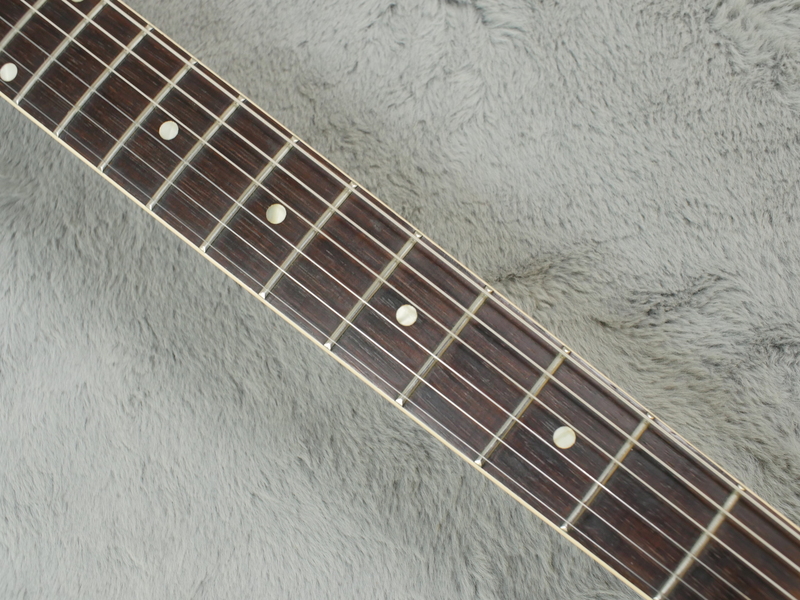 The neck and fretboard are free of wear. 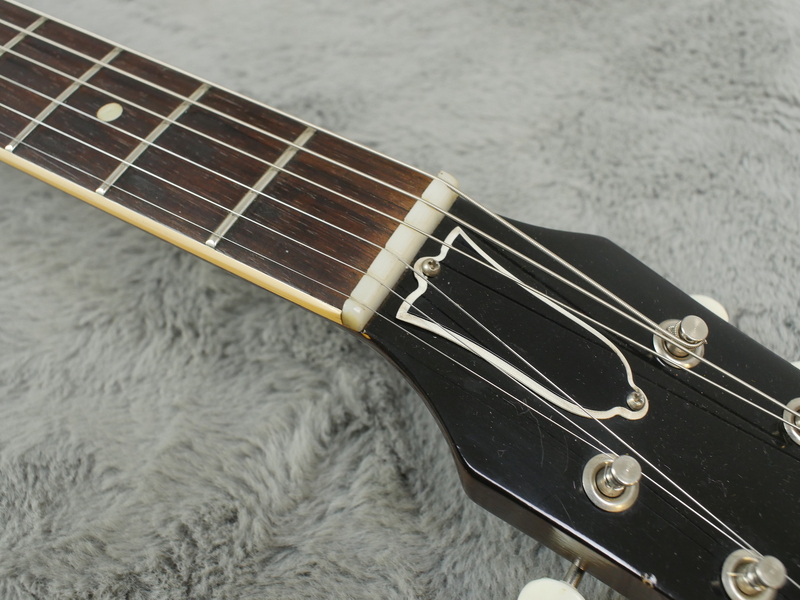 The original frets show little signs of use and the binding hasn’t suffered any shrinkage. 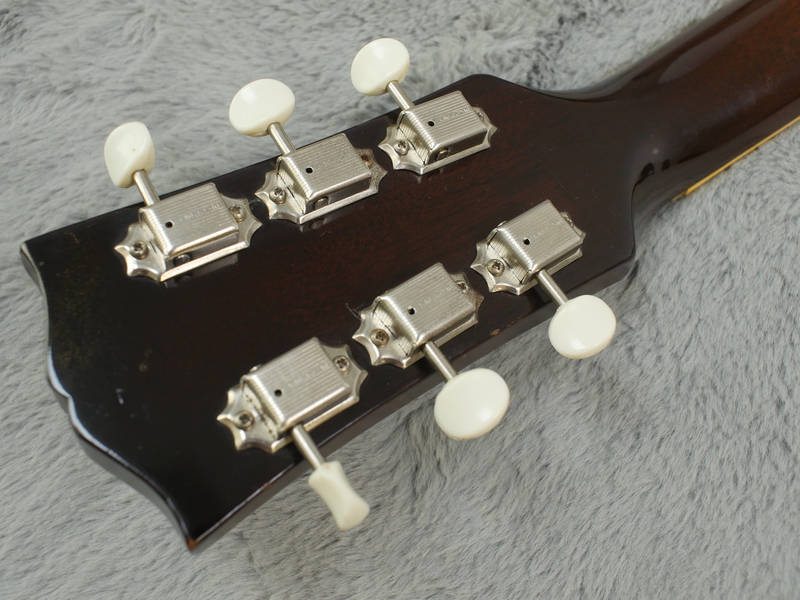 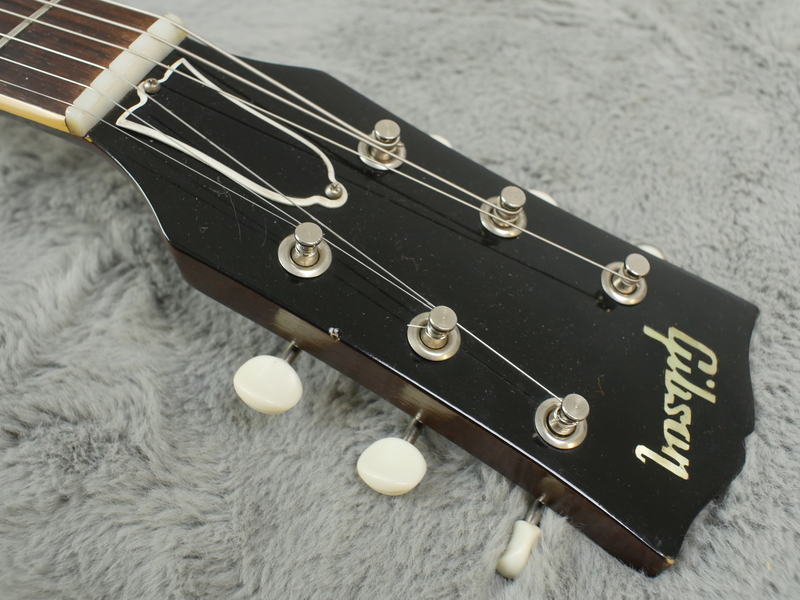 The headstock does have a little dent in it, visible in the close-up photo, and the top of the headstock has a little wear but this too is brilliant and free of any checking. 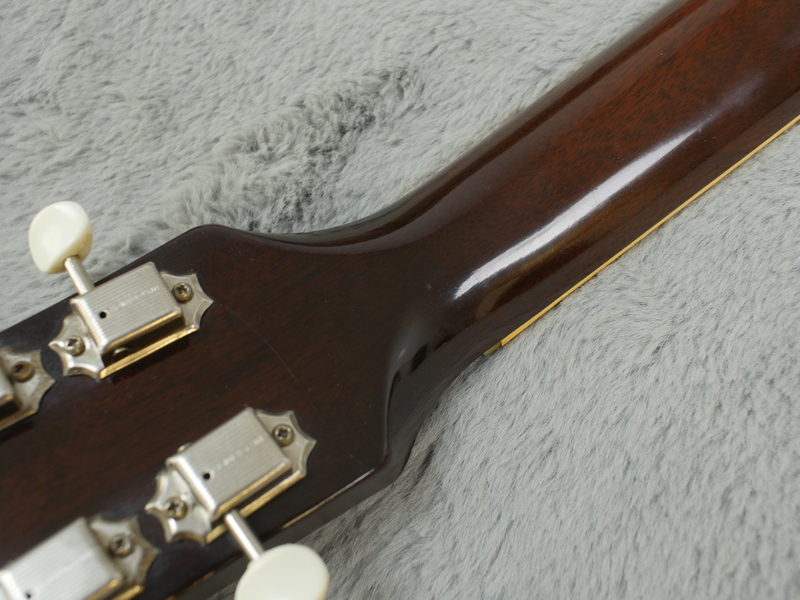 Another positive sign is that a second strap button hasn’t been screwed into this guitar. 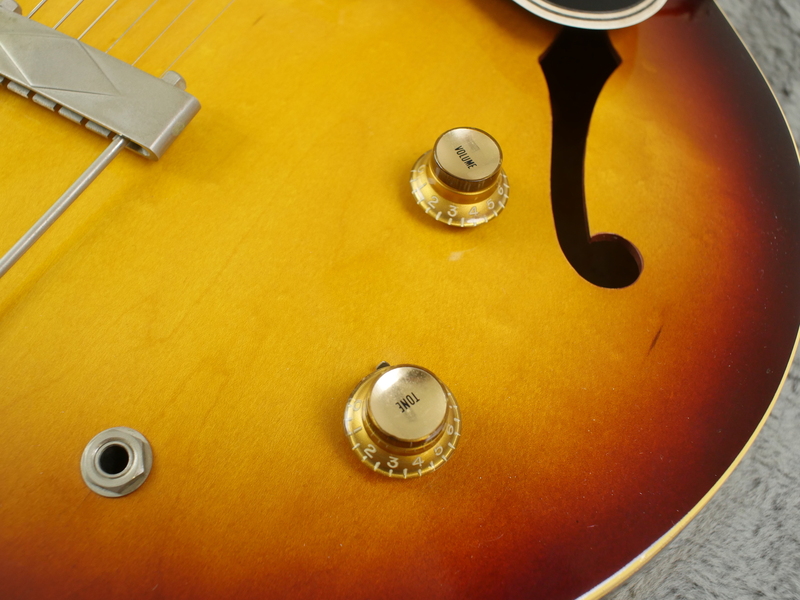 All electronics are correct and untouched. 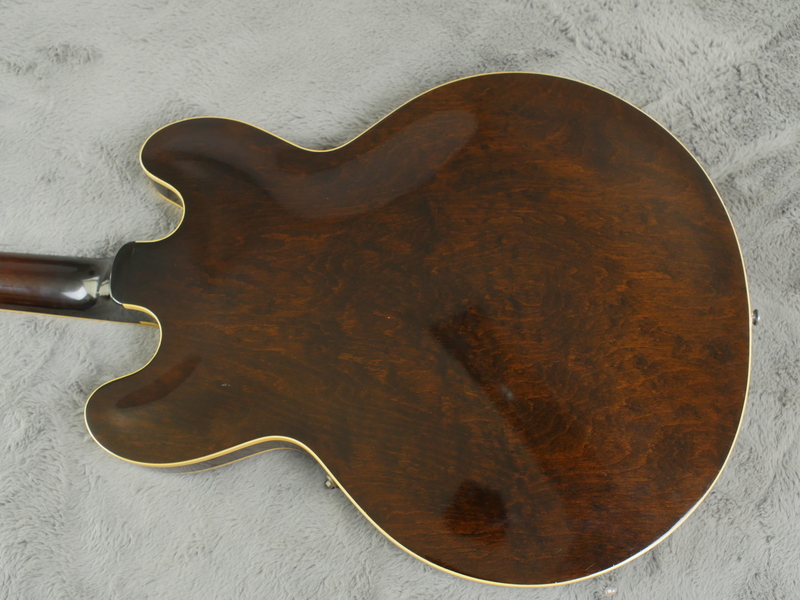 Fans of these hollow bodied thin line will not be disappointed here. 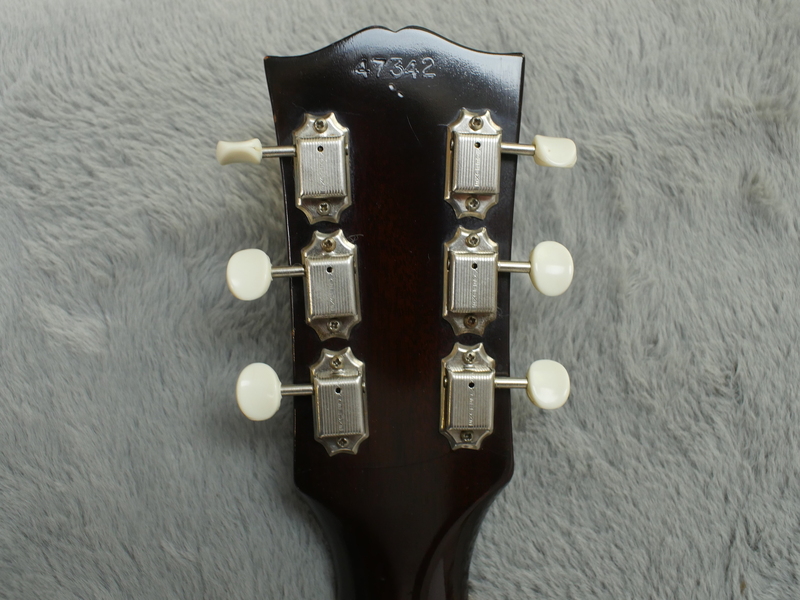 The neck is comfortable. 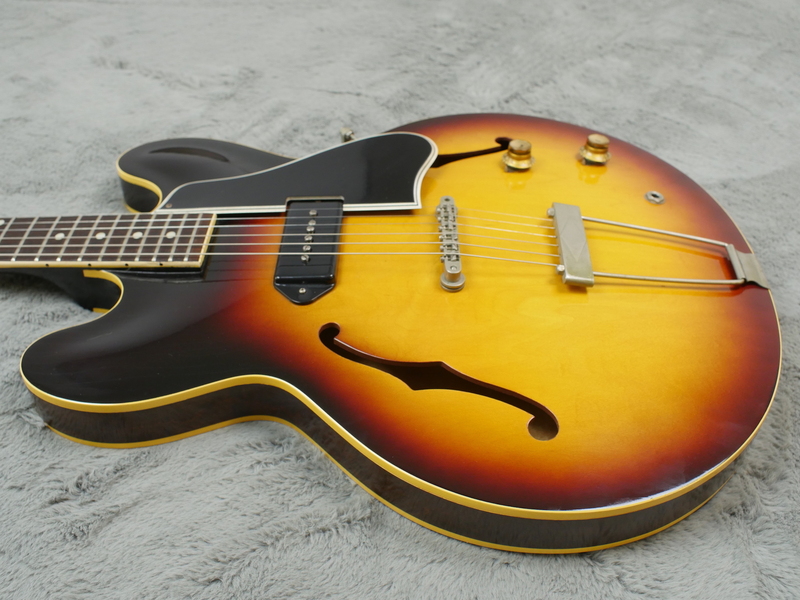 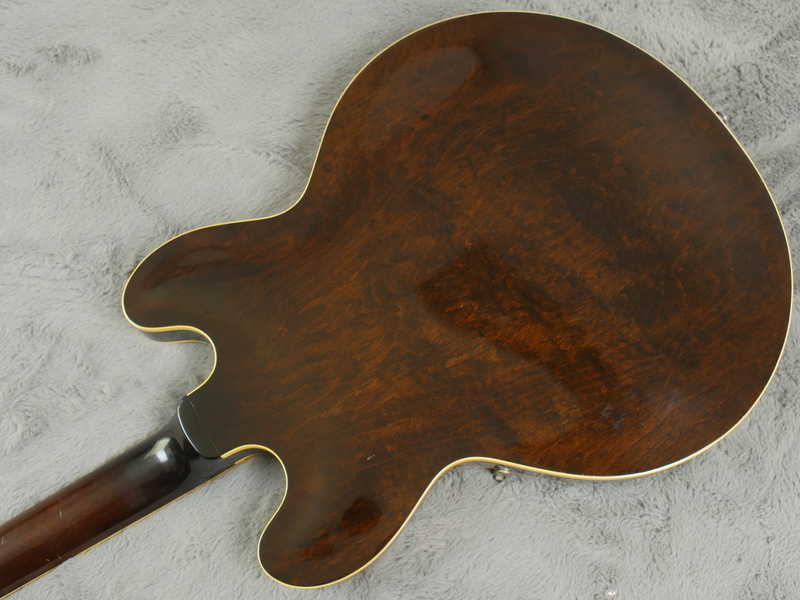 Not too chunky as you’d expect for a Gibson form 1961. 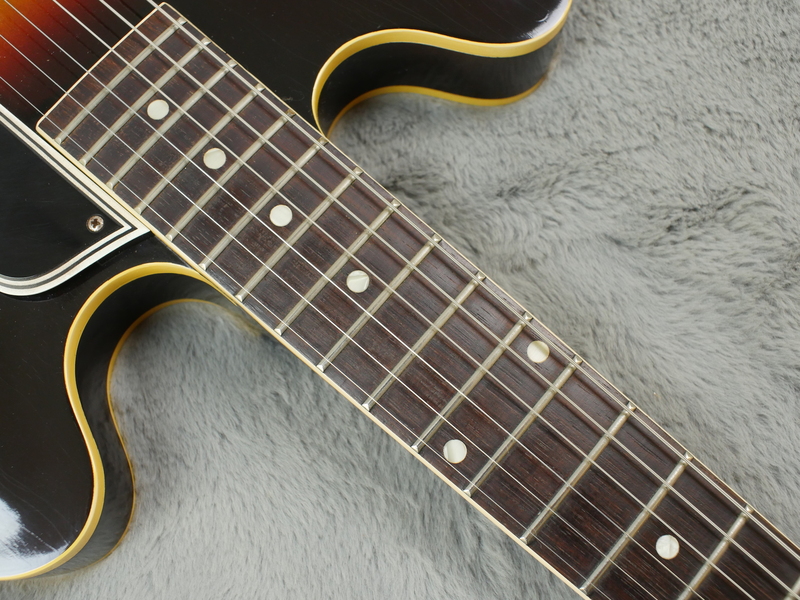 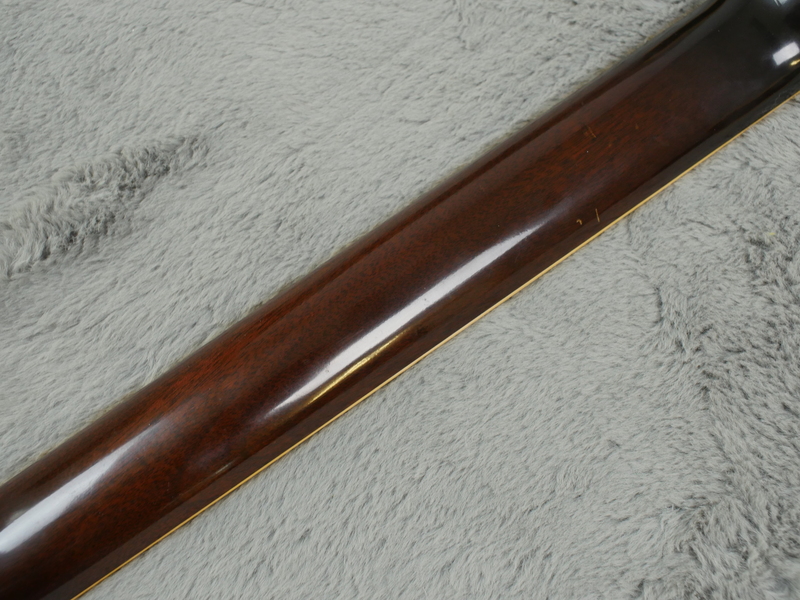 The lively resonance is complemented by the P90 pickup, the position of which yields quite a pleasing tone that could be considered the ‘goldilocks’ position (neither too bassy or too trebly) although the writer will leave this up to the player to decide. 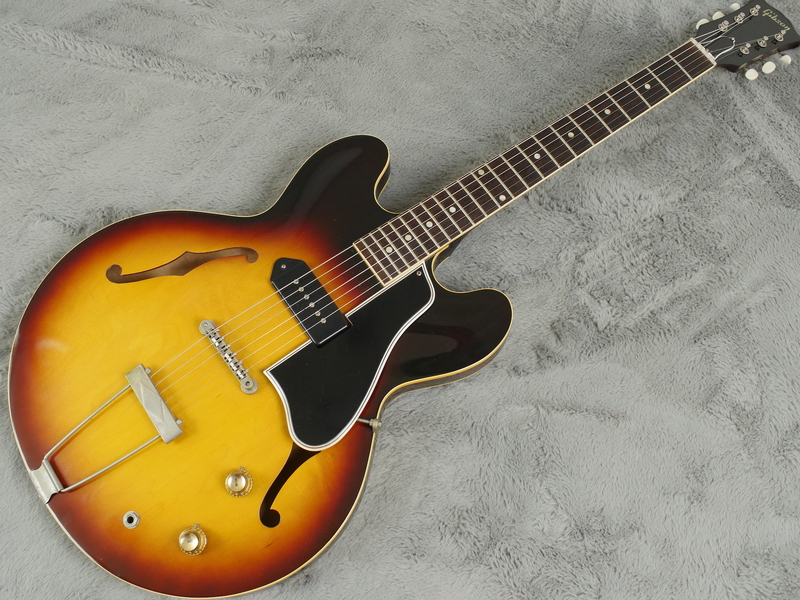 Stunning looks and Gibson hollow body tone, the preferred compliment to any laid-back musical scenario.